Jean-Jacques Rousseau’s (who lived in Môtiers in 1762–1765) question “is it culture that perverts Man?” is correlated to one of today’s interior sports—the pole dance. 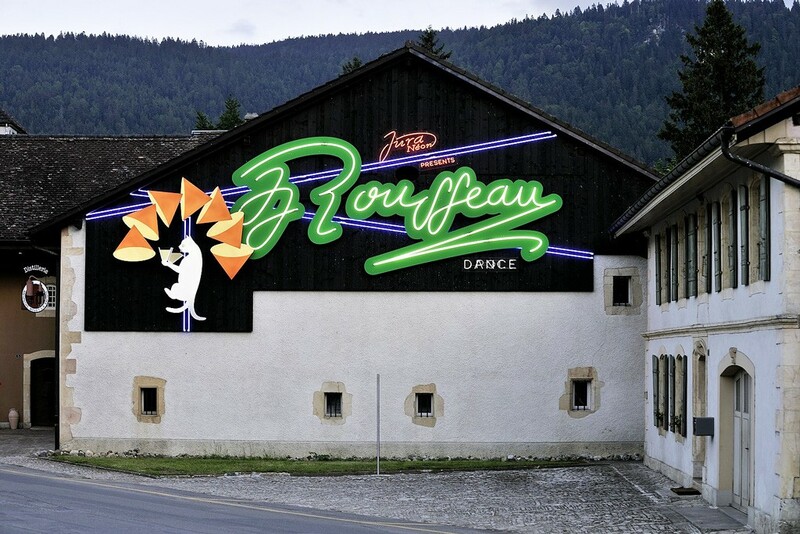 As a result, for the 2011 Môtiers—Art en plein air (‘Outdoor Art’) opening, to be held on June 18th—artist Louise Dahl-Lindvall proposes a pole dance choreography based on Rousseau’s ideas, on absinthe and its mascot, the fairy. 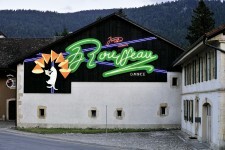 Next to her a flashing “neon-sculpture” on the façade of the “old farm” Bovet building. The Bovet company’s logo consists of a black cat drinking the anise-flavored liquor straight from the glass—a motif copied from a Mourgues brothers’ poster. 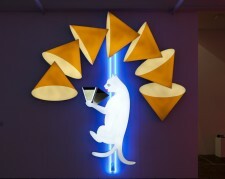 For JJR Pole Dance, the cat dances around a pole whose line-structure recalls Marcel Duchamp’s Large Glass (1934). The cones (stills or Duchamp-style chocolate maker?) are like machines that transmute matter to drunkenness—an alchemy that corresponds to JJR Pole Dance, in a flavor imported from Las Vegas. Background picture: Louise Dahl-Lindvall for JJR Pole Dance. 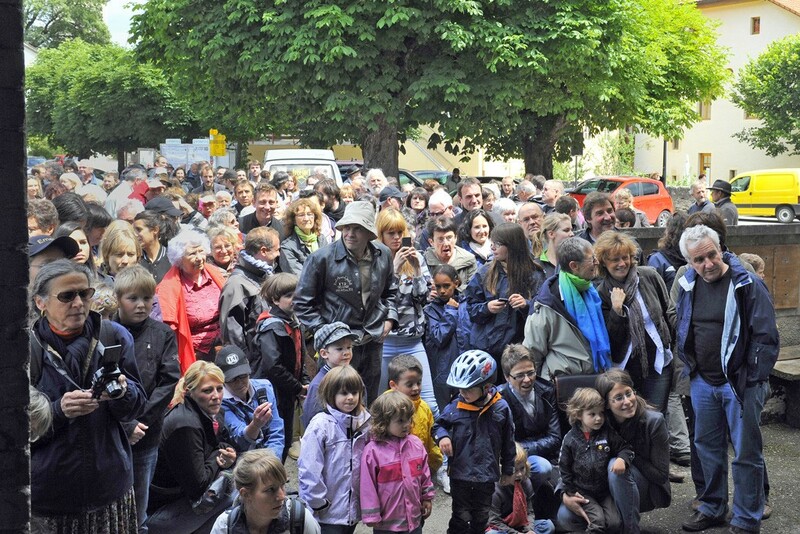 Photo: Alain Germond. JJR Pole Dance neon sign. Photo: Alain Germond. Louise Dahl-Lindvall for JJR Pole Dance. Photo: Alain Germond. Absinthe label design by Noémie Gygax. 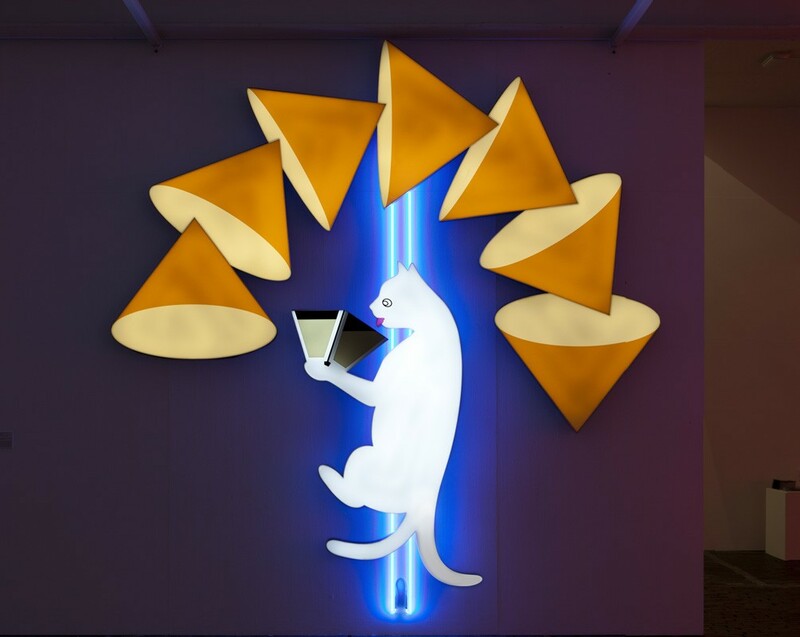 "Néon chat" for Maison Opéra. 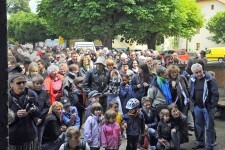 Photo: Danaé Panchaud.